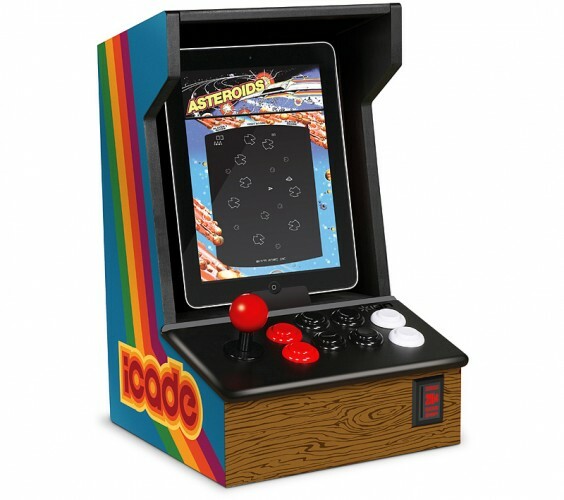 Thinkgeek’s iCADE iPad Arcade cabinet has been on my want list for a while now. Announced as an April Fools joke, the iCADE is now real and it costs $99. It’s on back-order, sadly, or I’d have picked one up. The cabinet interfaces with the iPad and offers full button and joystick control using a unique API. It is currently compatible with the recently-announced Atari classics package, a $14.99 game pack that includes 100 Atari games.